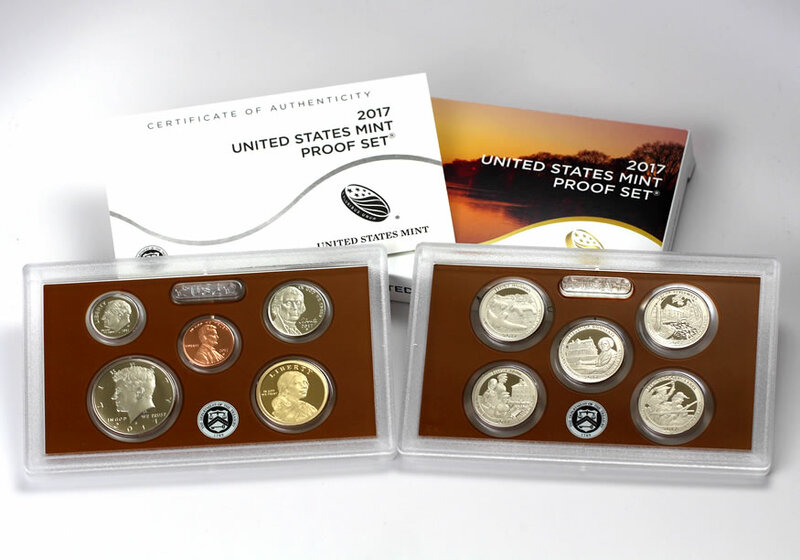 CoinNews photo of a 2017 Proof Set. Sales of the set, which opened on March 29, topped 250,000. The U.S. Mint logged a second straight week of strengthened sales for more than half of its collector products, although figures are lopsided a bit with an extra day, Memorial Day, included in the latest reporting period. That said, coin sales around extended holiday weekends are generally weaker so there’s some counterbalancing in play. The U.S. Mint published sales data for 283 numismatic products. One hundred and forty-seven of them outperformed their prior weekly gains compared to the last report’s total of 151. 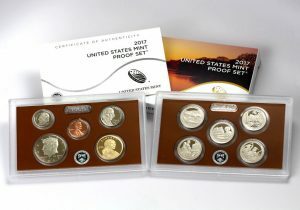 The Mint’s best-selling products were two core annual sets followed by the proof Silver Eagle. Six products increased by more than 1,000 units compared to 5 previously. One product saw its sales total reduced, matching the prior report. Below are tables showing the latest sales for U.S. Mint numismatic products. The sales period covers May 22 to 29. Products with an asterisk (*) are no longer available. I noticed that the Congratulations Set while practically sold out has been removed from the Product Schedule altogether. What’s up with that?? ?